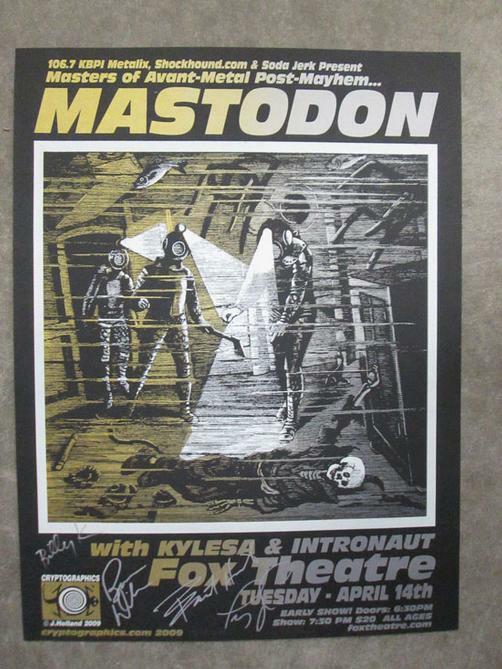 Original AUTOGRAPHED concert poster for Mastodon at The Fox Theatre in Boulder, CO on April 14, 2009. Artist- Jeff Holland. 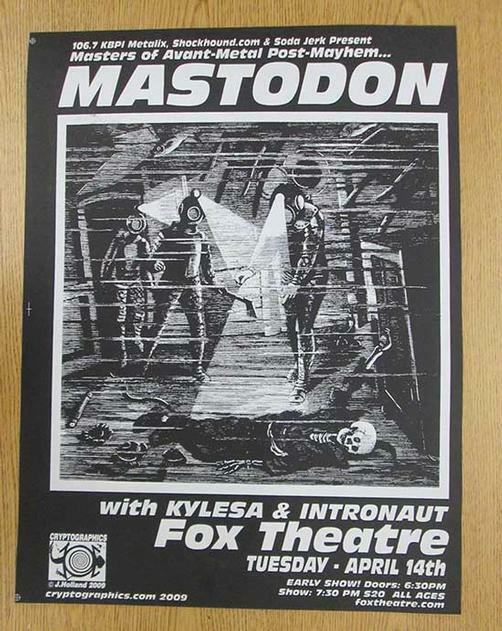 Poster size- 18 x 24. Silkscreen print on Black 100# cover stock. Printed on both sides. The front printing also glows in the dark. Signed and numbered edition of only 200. 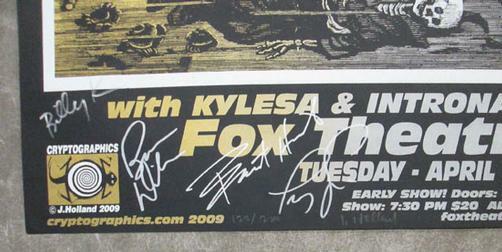 Hand-signed by Troy Sanders, Brent Hinds, Bill Kelliher, and Brann Dailor.